After spending quite some time decorating sugar cookies use brush embroidering decorating techniques with royal icing (see this post) , it occurred to me that I could use that same technique to embellish some of my cold process soap bars. Since I am always drawn to beach scenes, that is was the perfect place to start. This is a quick picture tutorial of how I accomplish this. For more detailed instructions, there are several cookie websites that have tutorials on the brush embroidery decorating technique. 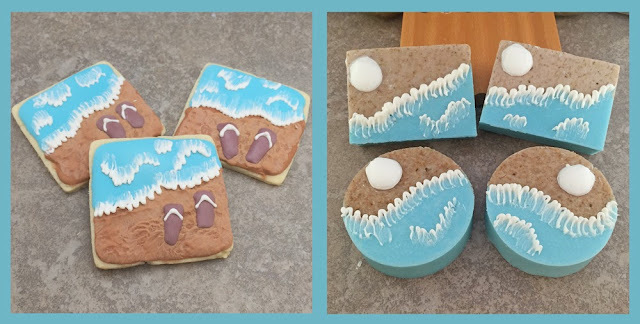 Here are some of my beach themed royal icing sugar cookies to the left and the finished soap to the right. I am going to recreate this type of design with cold process soap. Both in circular and square soap bars. Soap after a 24 hour cure. 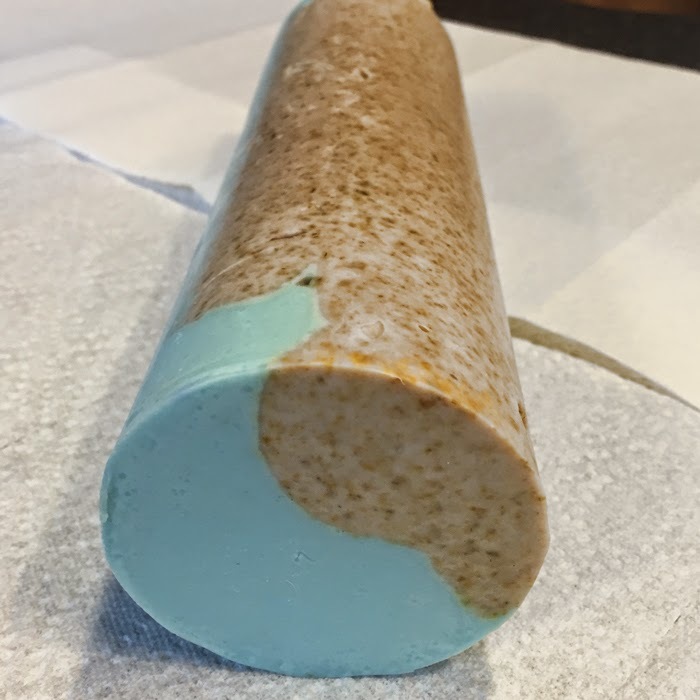 I created one batch in a 3" PVC pipe mold with a contact paper strip separating it into to sides. 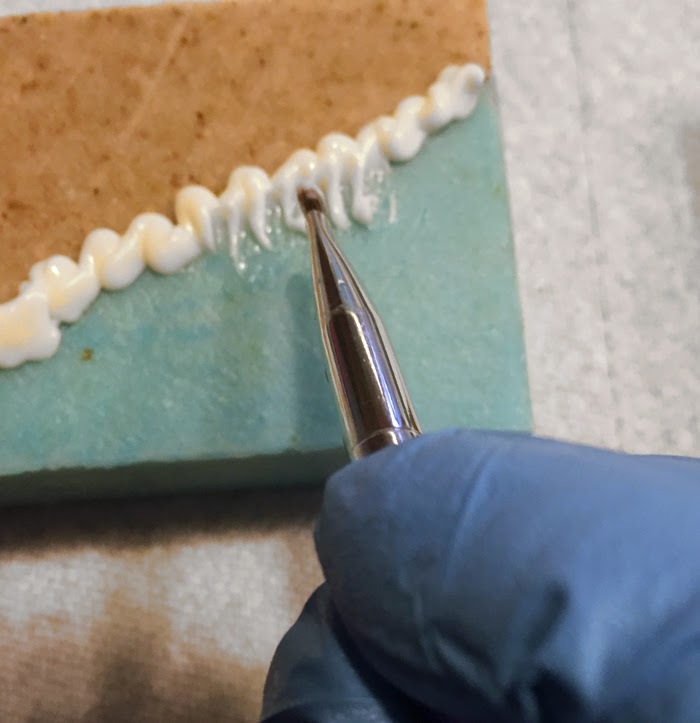 After both sides were poured and tapped to release air bubbles and settle the soap, the contact paper strip was pulled out. 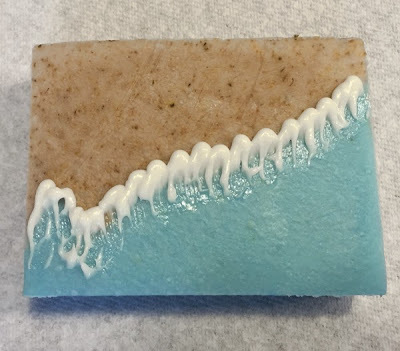 For the square bars, the soap was just layered at an angle at a medium to thick trace to give a rippled look between the layers. 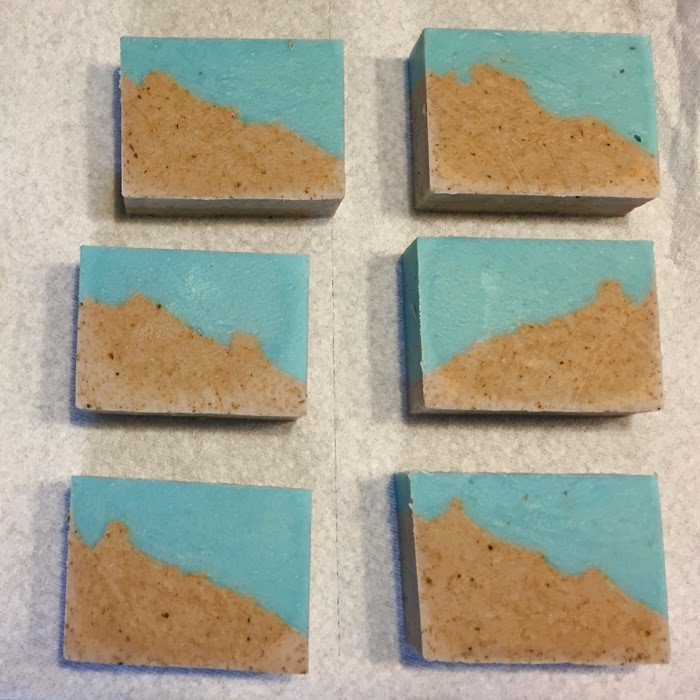 Dried and finely ground chamomile flowers were used in the brown colored soap to look like sand. 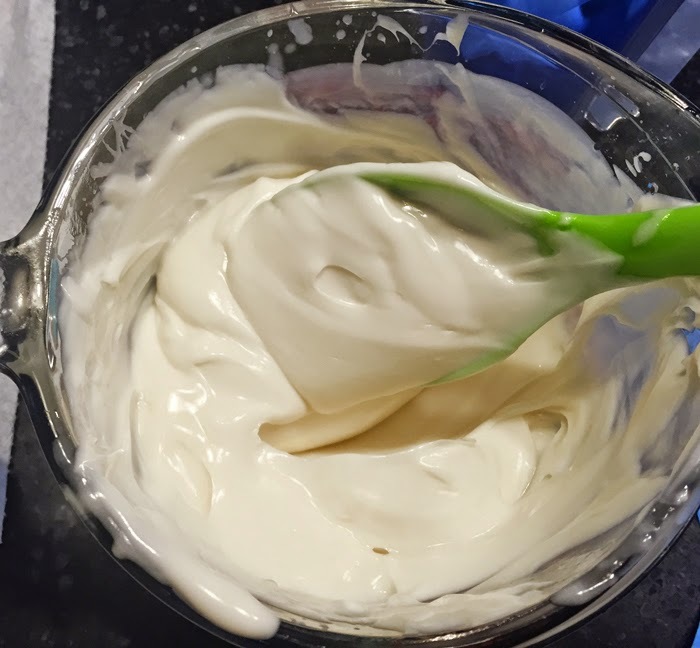 To make the "icing" to decorate I use the same formulation as the bars and allow it to settle into a fairly thick trace. Much like frosting. 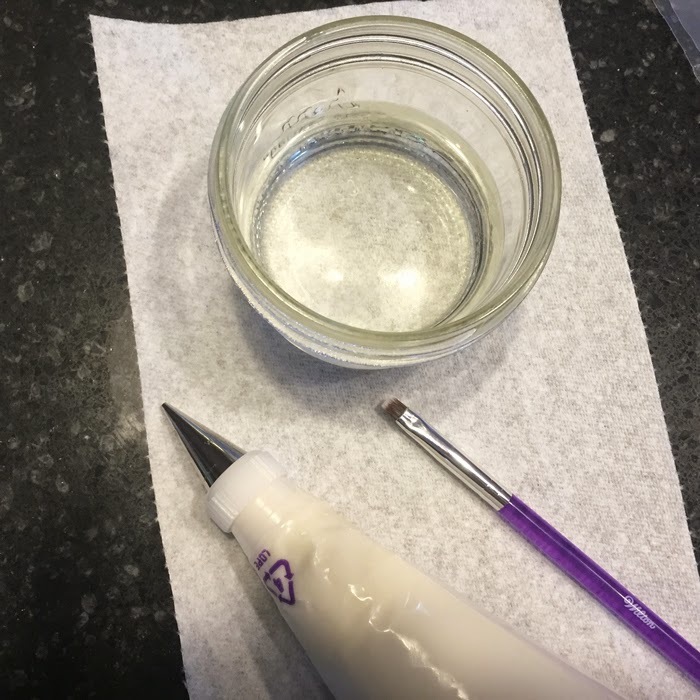 Too thin and it will spread too much and not hold its shape, too thick and you will not be able to squeeze it through the #2 decorating tip. 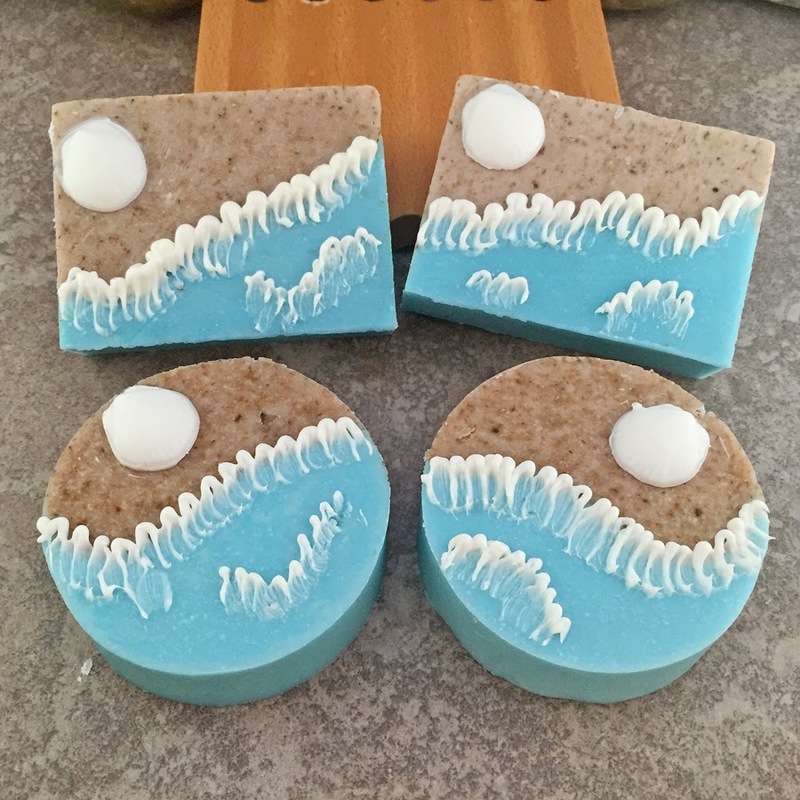 I do not add scent to this soap in order to have as much control over the consistency without having to deal with ingredients that can accelerate trace. To decorate you will need an icing bag with a #2 round tip, a small flat paintbrush and small cup of water. Fill the icing bag with some of the soap. 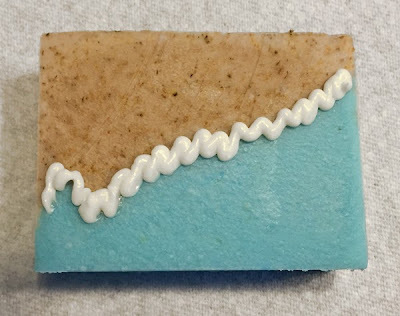 Squeeze the icing soap into the bars along the separation line in a wavelike pattern. Dip the paintbrush in water and blot any excess onto a paper towel. 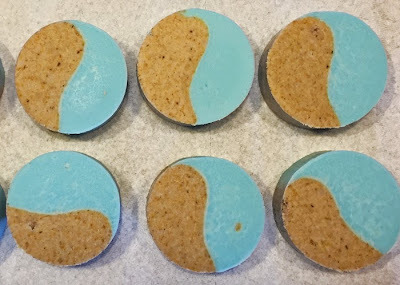 If it is too wet, the soap will not spread as easily. Using the paintbrush, pull down some of the soap towards you all along the wavelike line as shown. This is to make whitecaps that appear as the ocean waves hit the surface air. Add more waves if desired. 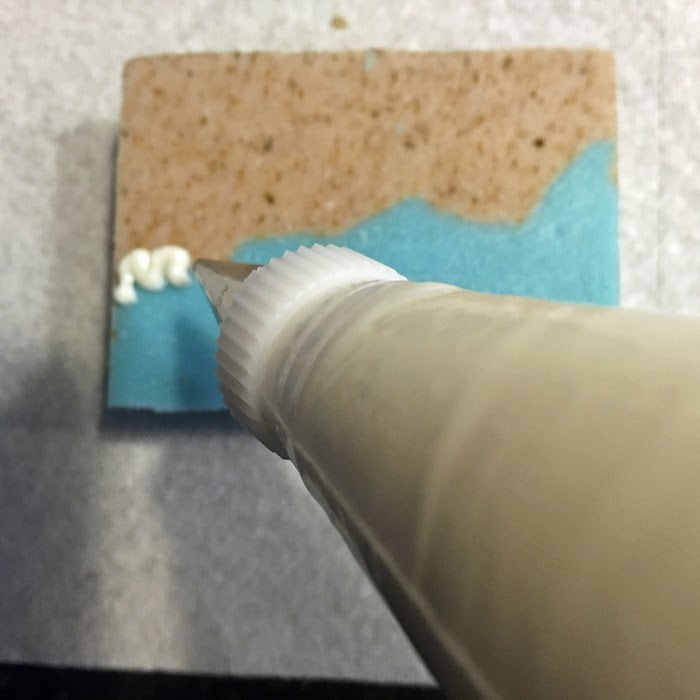 I also added a melt and pour white seashell using the soap "icing" to glue them onto the sand portion. You can use this technique to make flowers and leaves on your soap too. super finition! bravo c'est magnifique!